Smokey eye make-up on Asian lids can be a little tricky. I’ve had tons of ladies telling me they’re hopeless at it and that they always end up looking like Kung Fu Panda’s sister or even worse, punched in the eye. 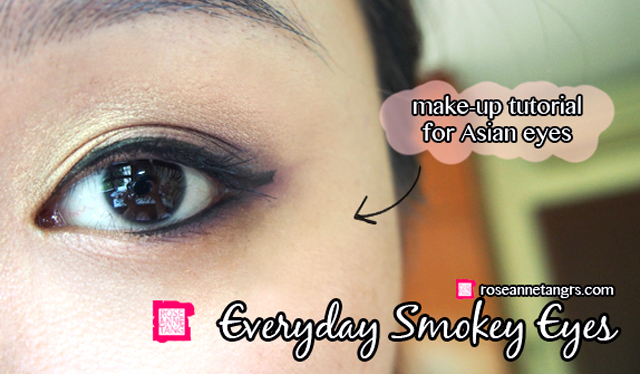 Today I thought I’d do a make-up tutorial on how you can get smokey eye makeup for asian eyes. It’s really simple. The main idea is that you don’t go overboard and too high above the crease. Be subtle about it. Asian eyes tend to be a lot smaller so you want to add colour gradually and specifically. 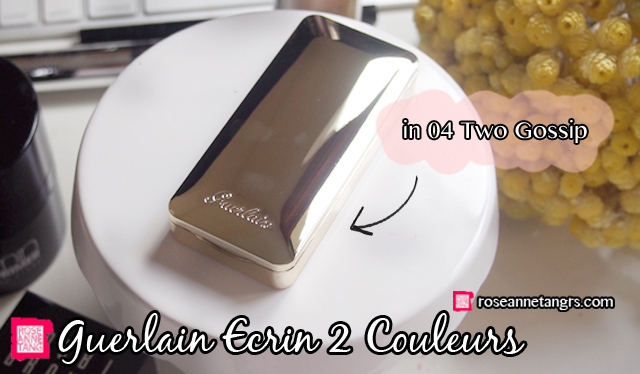 For this tutorial, I’ll be using the Guerlain Ecrin 2 Couleurs Palette – in 04 Two Gossip! It’s such a beautiful palette. Guerlain packaging is amazing. 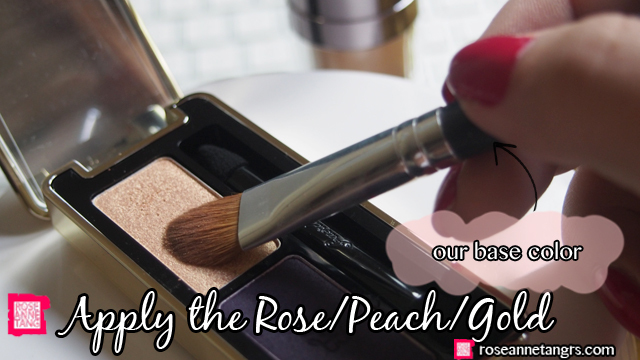 This little palette comes in 2 colours – a rosy peach gold and a matte deep purple. I just love the glossy and sleek casing and the eye-shadow quality and texture is amazing. 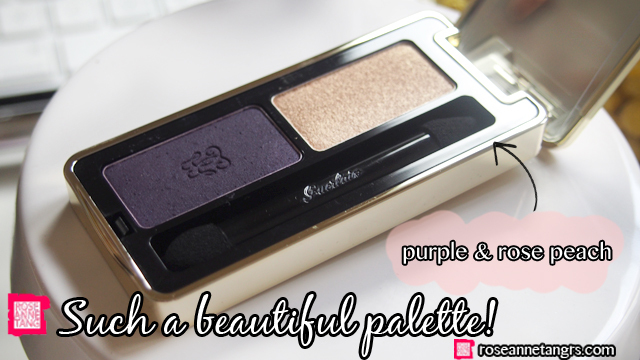 I highly recommend this palette and I love how the colours complement each other so well. First of all, you need a base shade. This shade is 1 or 2 shades lighter or darker than your original skintone. 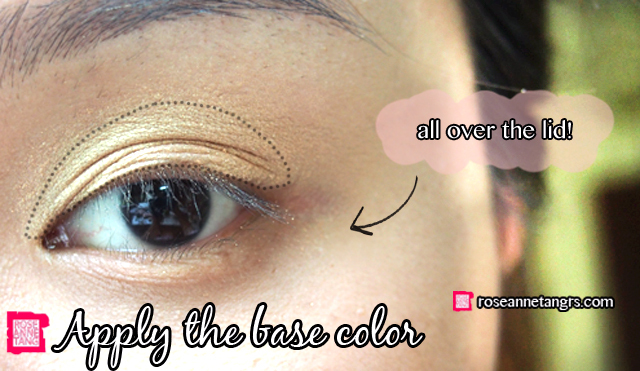 You just need it to be the lighter shade of the eyeshadows you’ll be using. I’m picking up this rosy peach color from the palette. I love base shades that have a bit of reflex to them or a slight shimmer. Chunky glitter can be quite difficult to deal with especially if you’re just starting out while matte may be a little too dull. Now we’re going to go in with our darker color. Of course you can mix and match whatever colors you like. You just need one that is lighter and one that is darker. Anything extra is really extra. 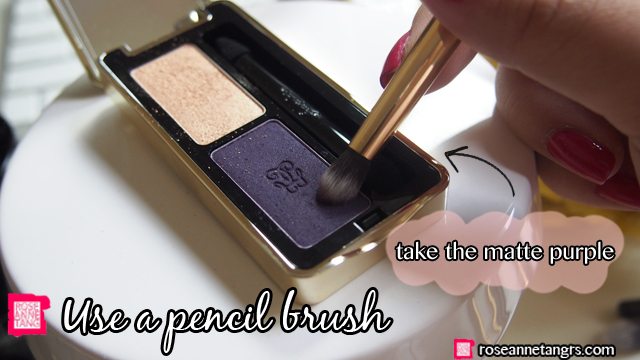 I’m picking the color up with this pencil brush from a new Singapore based brush company called 13rushes! They are so amazing and they’re brushes are very impressive. I love this particular brush because even though it’s synthetic, it can blend and pick up color really well! 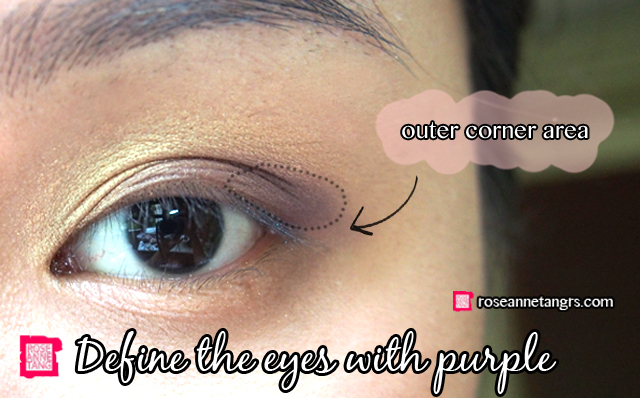 I’m going to apply the darker shade and in this case the deep purple into my outer corner area. I’ve outlined the outer corner below. This gives your eye dimension. I also like to roam onto my waterline a bit too. A great tip is if you have single eye-lids or minimal double eye-lids, you can actually apply the darker shade going from the lid line and smoking upwards in the event you don’t really have an outer corner. It’s always good to take the colour into the crease a bit too. Be careful here though, stop halfway or 1/3rds way and do not go all the way. If you go all the way, it will weigh your eye-down and make them even smaller. 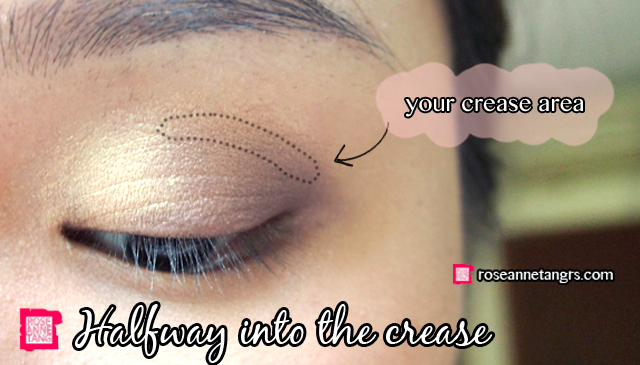 This crease trick will help heighten the eye and make them a little bigger. Don’t go above and beyond though. You can see I’m carefully placing the color just above and onto the crease. 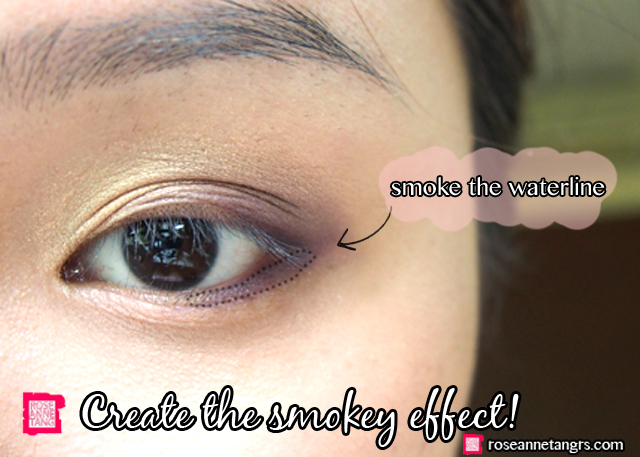 For that ultra smokey effect, bring the color down to the waterline. I like to use this really nice flat short shader brush to do the trick from 13rushes. I’m picking up the deep matte purple again. You can go pretty experimental here with color. I’ve seen people use crazier colours like teal or more basic colors like black or dark brown. 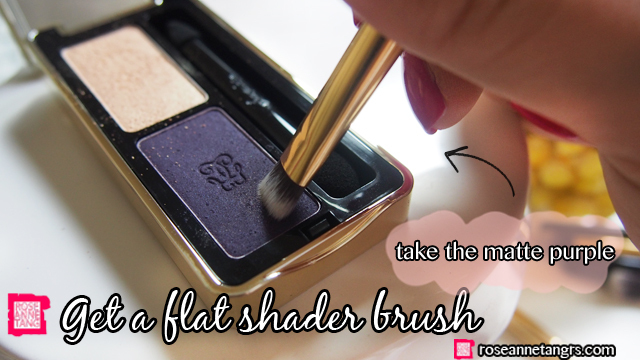 Then use the brush to line your waterline and smoke it a bit. A great tip is to actually draw your liner on it and then use your brush to smudge the liner with the shadow and blend it out a bit. That’s for an even smokier look. When you’re done, just line your eyes and curl your lashes. Apply mascara and you’re finished! See! Not so hard afterall! Hope you liked this tutorial and see, you can have smokey eyes without looking like a panda 😉 Let me know if you have any makeup tutorial requests below! In the meantime, do follow me on instagram @roseannetangrs! 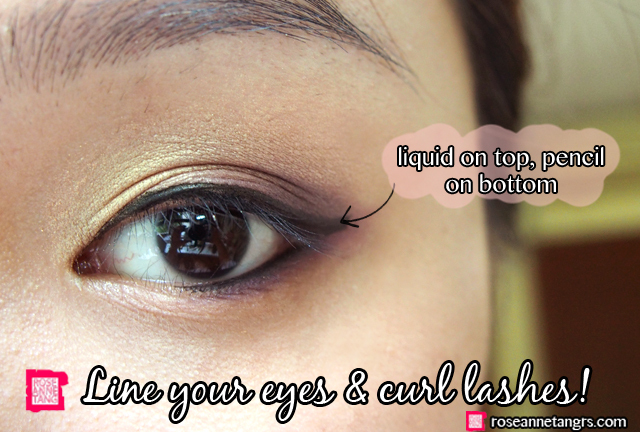 Lash Curling Trick: Try Inverting Your Eyelash Curler! Make-Up Tutorial: Gold Eyes & Hot Pink Lips for Christmas!